•Exercise and Nutritional Interventions for Diabetes and Obesity - Level 4. 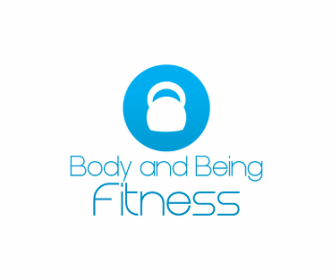 ​•Advanced Personal trainer – Level 3. ​•Lau Gar Kuen Kung Fu - 1st Degree Black Sash. ​•Advanced Anatomy and Physiology – Level 3. ​•Gym Instructor – Level 2. ​•Circuit training – Level 3. ​•Core stability and Torso training – Level 3. ​•Nutrition for Sports and Exercise. ​•Pre and Post Natal Exercise - Level 3. ​•Exercise for Ultimate Fat Loss Certificate. ​•Client Psychology and Motivation - Future Fit. All my qualifications are accredited by REPS (Register of Exercise Professionals), City and Guilds, The British Kung Fu Association, Zenways, Boxercise and Future Fit Training. I'm James a Personal Health Coach from the Midlands. I am passionate about helping people to achieve health and wellness. Whether that's through weight loss, fitness, GP referral or Type 2 Diabetes and Obesity I can help. My own journey first began with traditional martial arts. It helped me discover discipline, strength and internal health. It was a great starting point to create the will power to achieve other things. I enjoy running, Muay Thai, yoga and meditation practice. It took me 3 years to qualify as a Level 3 Trainer and a further 2 years to gain my GP referral and Level 4 qualification. I have industry experience of working in public gyms and with my own personal clients. I hope to help people, and myself, reach their fullest potential.